4108 NW 35th St, Cape Coral – REDUCED to $249,900… POOL HOME! 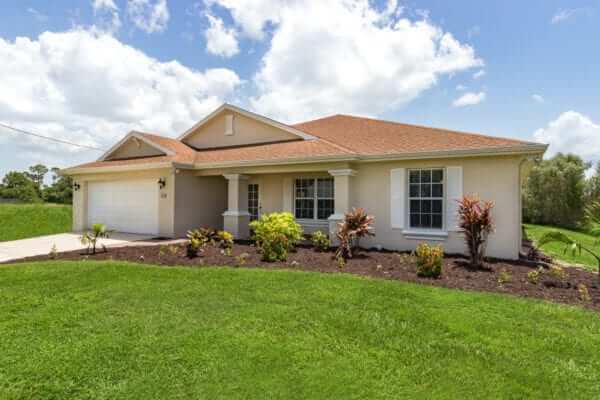 Lots of room in this gorgeous POOL home located in up and coming area of NW Cape Coral. EXTERIOR FRESHLY PAINTED. Kitchen with island bar, crown molding cabinets, pot filler (for filling pots with water right on the stove), and more. Great curb appeal with fruit trees, olive trees, and fresh mulch. Comfy front porch, with pavers, to sit and watch the world go by. NEW A/C in 2016! Two separate den/office areas, one with double French doors. OPEN FLOOR PLAN makes this home light and bright. SOUTHERN EXPOSURE, which everyone loves since it keeps sun on the pool most of the day and shade in the relaxing and eating areas. Large pool deck and screened lanai has a ½ bath so no towel shuffling inside needed. Split bedroom floor plan offers HUGE Master on one side of the home and guest rooms on the other for the utmost privacy. Master bedroom has HUGE walk in closet and en suite bath with jetted soaking tub and oversized shower. Nice sized Guest rooms and TWO SINKS in Guest Bath. And guys… you will love the flaked finished garage floor. Less than 4 miles from an 18-hole Championship Golf Course and easy access to Ft Myers International Airport which is only about 35 miles away. Inventory levels the highest they’ve been since March 2014. Inventory has risen approximately 5% this entire year, expect 10-15% increases as we near 2019. With more inventory on the market, homes will take longer to sell compared with the “fast pace” we’ve been used to. The Average DOM (Days on the Market) is 135. Sales dropped by 2% which was anticipated given buyers are becoming more reluctant to purchase with so many options to chose from. 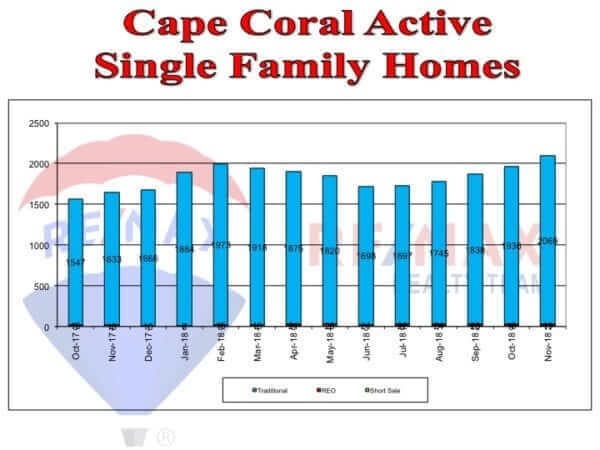 Cape Coral permits dropped by 12% to 162 for November. Active inventory rose to a total of 1,622, although new single family homes entered the market, more came off the market (Pendings, Withdrawn, Expired, etc.). 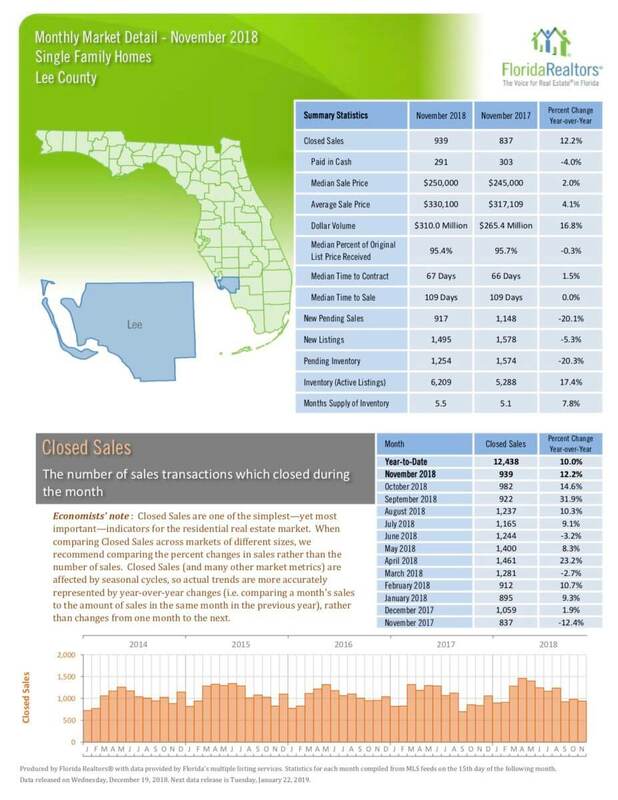 A total of 256 single family homes were sold in November. The increase in listings this year compared to last year held the appreciation rate below 5%. 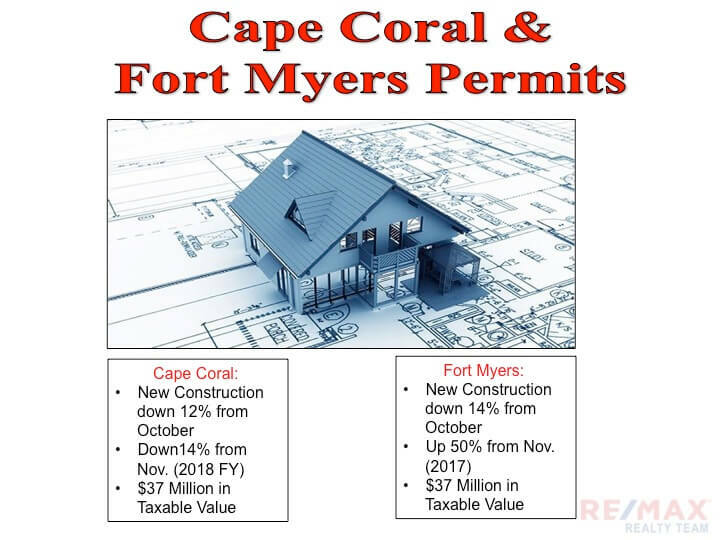 Permits issued for Fort Myers nearly totaled 200 (196) bringing a taxable value of $37 million. In the past, a w-2 employee that wrote off unreimbursed employee expenses would qualify for a lower loan amount. Unreimbursed employee expenses would be something like gas, mileage, meals and entertainment, uniforms etc. In the past if a borrower’s income was $100,000 a year and they wrote off $10,000 in “unreimbursed employee expenses”, Their income to qualify for a new home would be $90,000. With the new guideline change, they would just qualify for $100,000. The expenses would not be used. As a result a borrower may now be able to qualify for a sales price around $25-$30k higher than what they would have qualified for with the old guideline. FHFA has announced the new conforming loan limits for Fannie and Freddie. The base will increase to $484,350 and the high balance ceiling will increase to $726,525. Freddie Mac announced a new loan product for manufactured homes. Freddie Mac will treat loans similar to single family built homes. Lenders must follow HUD-code guidelines for the home construction and follow local and state guidelines for manufactured housing titled as real property. Traditional appraisals may be a thing of the past. The Federal Reserve, Treasury Department’s Office of the Comptroller of the Currency issued a joint proposal that would make traditional appraisals unnecessary for many new mortgages originated for less than $400k. Instead of a formal appraisal these homes would receive an evaluation by individuals who have no appraisal licenses of certifications and would not be subject to current state regulatory oversight. The evaluates could be an independent bank employee or unnamed third part(ies) and must possess knowledge of the market, location and type of real property being valued. For more… click here for Cape Deb’s Blog…..
Have questions? Need Cape Coral Real Estate assistance? Call Deb Cullen at (239) 233-2322 or click here…..